Authors: Leen & Kathleen Ritmeyer. Soft cover 160 pages (14 x 20.7cm). Published in 2015 by Carta, Jerusalem. 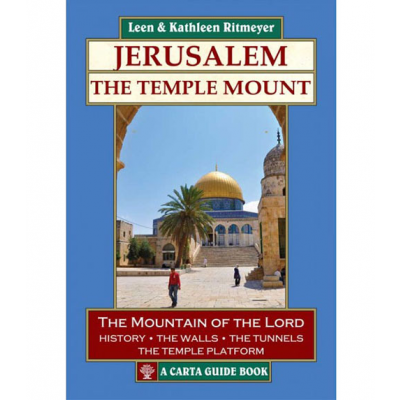 With this profusely illustrated guide book to the Temple Mount you will be able to fully savor the experience of visiting a site that is without parallel and be embraced by its aura of power and sanctity. Incredibly, this is the first true guide of the Temple Mount to be published since 1925, when the Supreme Muslim Council published their 12-page Brief Guide to al-Haram al-Sharif. It is the culmination of years of academic work distilled into a user-friendly manual whose aim is to make the dry facts and stones come alive. Sections on each of the six distinct areas connected to the Temple Mount are preceded by a “Useful Information” box. Each route has its own detailed tour map. 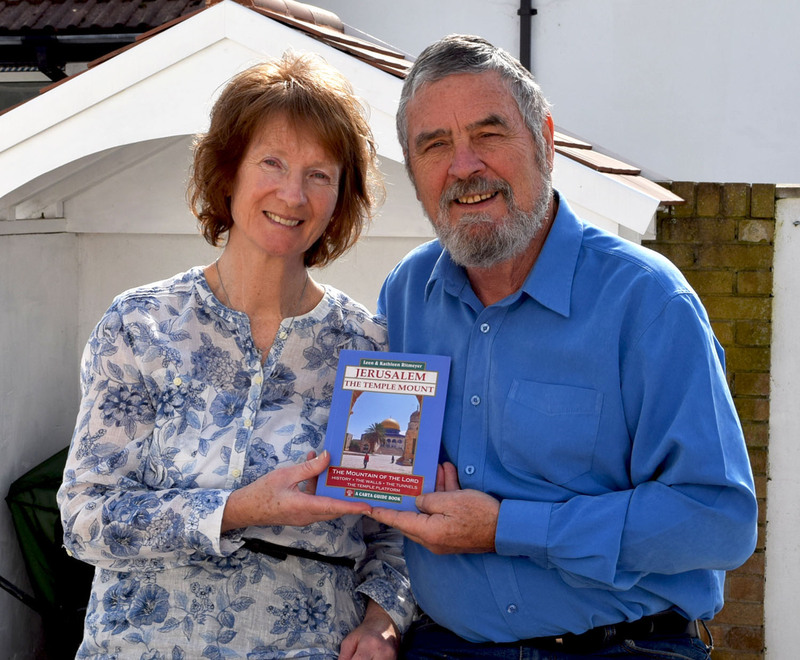 The guide book valuable for all visitors to Jerusalem who want to connect the Scriptures to what they are seeing on the ground, It is also valuable for armchair travellers, who for whatever reason cannot visit the Mount in person, but who are there in spirit. It will also be indispensable on those occasions, when although you may be in Jerusalem, the political climate dictates that the Mount is closed to visitors and you are restricted to circumnavigating its walls. The specialized maps at the end of the book provide additional information if you wish to focus on a particular aspect of the Temple Mount. One unique, never before published, map gives New Testament references that will allow you to follow in the footsteps of Jesus and his disciples around the Temple. The book has 190 maps, reconstruction drawings, plans, photographs and illustrations. It also has a two page index of some 95 scriptures which reference the area on which the temple mount stands, and a six page general index. This book is a mine of information and designed to be robust enough for the traveller to carry with them as they explore Jerusalem. The stones will certainly cry out.